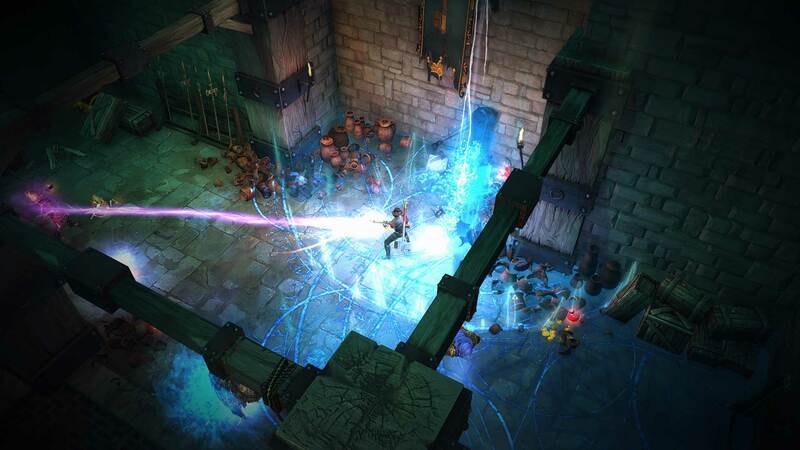 Released back in 2015 for PC, Victor Vran has recently made its way to console. The PS4 version boasts a variety of creepy locales, hordes of monsters just waiting to be slain, and last, but certainly not least, piles and piles of loot just waiting to be collected, provided you have the patience. Victor Vran is the unique moniker of a man with a particular set of skills. If you happen to be a denizen of darkness, ubiquitous undead, or human hungry homunculus, Victor Vran will find you and he will kill you. This singular focus is arguably one of the game’s strong points but also manages to be a weakness as well. The not quite sweeping narrative basically has monster hunter Vran coming to a land infested by all manner of horrible things, just passing through, wherein upon finding a small group of steadfast survivors bent on reclaiming their lost corner of the world, decides to stay and play hero. If the premise sounds a little thin, it is. The passable exposition is basically just a device to get you moving from location to location, and destroying all manner of creatures for delicious loot. While this isn’t necessarily a bad thing, in and of itself, the narrative never really coalesces into anything resembling a coherent storyline. For example, early on in the game, you begin to find the bodies of several other hunters, lining the hallways of a large mausoleum, littered about, apparently slain by the tomb’s many foul creatures. It is only right before the first boss fight that you learn the boss, a vampire, is an old friend and former hunter himself is now a bloodthirsty minion of evil (and a much snappier dresser). None of this is mentioned anywhere prior to the couple of minutes as you are closing in on the boss fight itself. This makes it seem jarring and sudden, from a narrative perspective, as if the writers just suddenly got the idea at the last moment and tried to shove it in in an attempt to add elements to an already lacking story. This might be easier to forgive if the gameplay were a nuanced and strategic affair. Sadly, it is about as complex as picking a weapon, using that weapon to kill said nasty critter, rinse and repeat for hours upon hours. Finding tons of loot, secrets in each charmingly dreary locale, and working through the dreadfully inane storyline are your only motivations for this adventure, which feels quite a bit longer than it really is. Historically, loot games have attempted to supplement the inevitable loot grinding process in different ways, one of the most common being a variety of playable classes, each with different abilities/skills/spells, to keep players engaged. 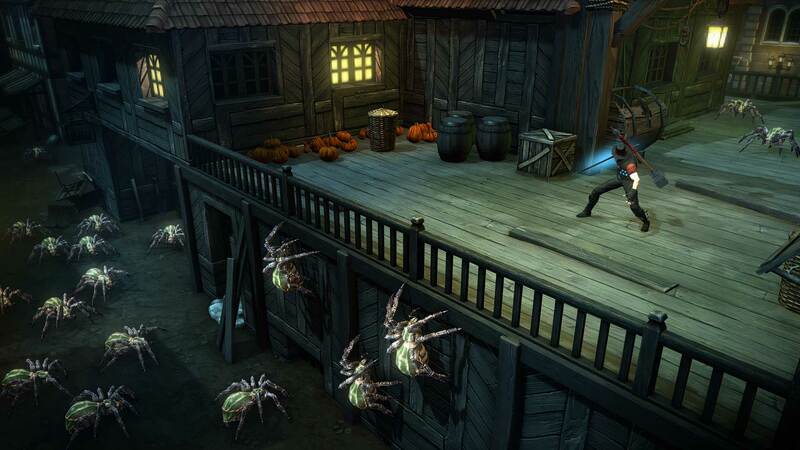 Being a solo hero, Victor Vran’s solitary lifestyle hurts a lot here, as keeping the player engaged is an important aspect of any game, but especially grind heavy loot games. That being said, the game does introduce several unique mechanics. One is the fact that you have a “hand” of tarot cards that you earn through quest rewards or find as drops that have a number of different effects, such as increasing your overall health or increasing your critical hit chance. Each card has a numerical value, dependent upon its rarity/strength and you have a limit on the number of cards you can carry at one time, and are further limited by the total value of your hand, though these limits are lessened over time as you level up. You can also swap cards out of your hand on the fly at any time. It’s an interesting mechanic, but it feels as if more could have been done with it to make it truly compelling. Featuring an arsenal of melee and ranged weaponry, the game boasts tons of ways to take down enemies. Unfortunately, from a gameplay perspective, none of those ways feels particularly effective. Most weapons feel extremely underpowered compared to the hordes of enemies you must face, making combat feel like a chore more than anything else. This disparity only grows more apparent as you progress in the game. Melee weapons, such as swords and scythes are the most effective, but even they feel inadequate. Ranged weapons, such as shotguns and hand cannons have such a variance in damage, its hard to get any kind of consistent output. Many ranged weapons have a damage range from the low double digits to the mid triple digits to start and this range only gets wider as higher level weapons are found. This makes your damage output extremely inconsistent and as you come up against more and more powerful enemies, even though you’re finding increasingly powerful weapons, due to the huge damage variance and the fact that many higher level enemies have increased defense and resistance scores, you often feel as if you’re fighting tanks with toothpicks. In the end, Victor Vran is a game of unfulfilled potential and inconsistency, set in motion by a maddening singular focus. It is a challenging game, but such challenge comes not from sophisticated level design, nor is it due to multi layered gameplay options. Rather, it is the challenge that comes with the frustration of being thrust into a world where you are mostly ineffective. Even in gaming, as in the real world, we like to feel as if our actions have an impact on a larger scale. Victor Vran’s narrative may revolve around a broken land, and a world suffering due to rampant creature infestation. Sadly, the real suffering comes from spending any time with the game and realizing that there are many other games out there more worthy and deserving of your efforts.